First of all, let's be clear about what the Gospel is. For God was in Christ, reconciling the world to himself, no longer counting people’s sins against them. Most churches would claim that they faithfully proclaim this gospel message. We are all sinners with our sins standing against us. If we repent of our sins and we accept Jesus as our Saviour we will be forgiven and secure peace with God and a place for ourselves in heaven. However, if we refuse to do this, we are forever lost, alienated from God, and on our way to everlasting torment in hell. The difference between heaven and hell as an eternal destiny is determined by our freewill choice. 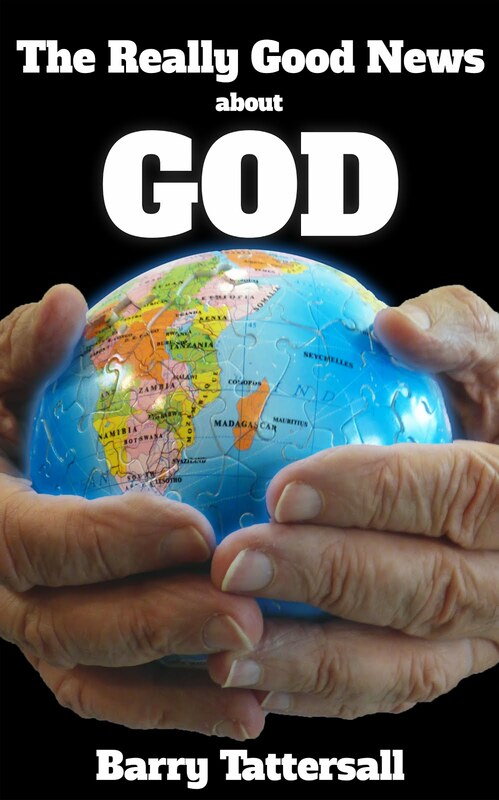 In Chapter 2 of "The Really Good News About God" (beginning on page 78) I deal quite extensively with the common concept that mankind has freewill by showing that, at best, we have limited freewill. I have also addressed this topic in several earlier posts. You can find these by typing freewill in the search box on the right. Today's post deals with a serious consequence of this belief in freewill. It torpedoes the gospel ! The salvation message of many churches is that because we are sinners, our sins stand against us and, unless we do something about it, we are on our way to everlasting torment in hell. And this is where our freewill comes in. We can freely choose Jesus or not. If we use our freewill to choose Jesus, we are forgiven for our sins and we avoid that terrible hell consequence. In other words, our freewill choice saves us. Unless we make that choice, we are lost. Jesus doesn't save us; our freewill choice does! Wow! How subtle is the deception. The truth is that God, through Christ, is the Saviour of the world. We struggle and work hard, because we have placed our hope in the living God, who is the Savior of all and especially of those who believe. Jesus has done it all - with absolutely no assistance from us. Salvation is a done deal because of what Jesus achieved on our behalf. We must not dilute what Jesus has achieved by claiming he needs our assistance to complete the deal or to put the deal into effect. In the previous post I mentioned that "eternal life is a given for everyone because of what Jesus achieved on the cross". God did what he had purposed, and made known to us the secret plan he had already decided to complete by means of Christ. This plan, which God will complete when the time is right, is to bring all creation together, everything in heaven and on earth, with Christ as head. So then, as the one sin (Adam's) condemned all people, in the same way the one righteous act (Jesus') sets all people free and gives them life. And just as all people were made sinners as the result of the disobedience of one man, in the same way they will all be put right with God as the result of the obedience of the one man. And let's also remember that it is our job (the already chosen's job) to present this good news to the world. Churches often spend so much time telling people what they must do to be saved (see previous post) instead of telling them they are saved already. And all these things are from God, who reconciled us to himself through Christ and gave us the ministry of reconciliation. That is, God was in Christ reconciling the world to himself, not counting their trespasses against them. And he has entrusted to us the message of reconciliation. But just as amazingly we are told that this has been God's plan from the very beginning, before time began, before the world was created, yes, even before any of us was born - it's not a Plan B or something God has added to his agenda for the world. The Bible mentions this pre-determined purpose of God often. If this has always been God's plan, and He created the heavens and earth (and you and me) as the vehicle for its happening, then we can confidently expect it will happen. Some of it in some ages, some of it in others, but at the end of the ages, the plan will be complete. Then, when all things are under his authority, the Son will put himself under God’s authority, so that God, who gave his Son authority over all things, will be utterly supreme over everything everywhere. Let's get busy sharing the "message of reconciliation" we have been entrusted with. Let's be telling people what Christ has done for them so they might love him and be given the faith to join the Body of Christ.